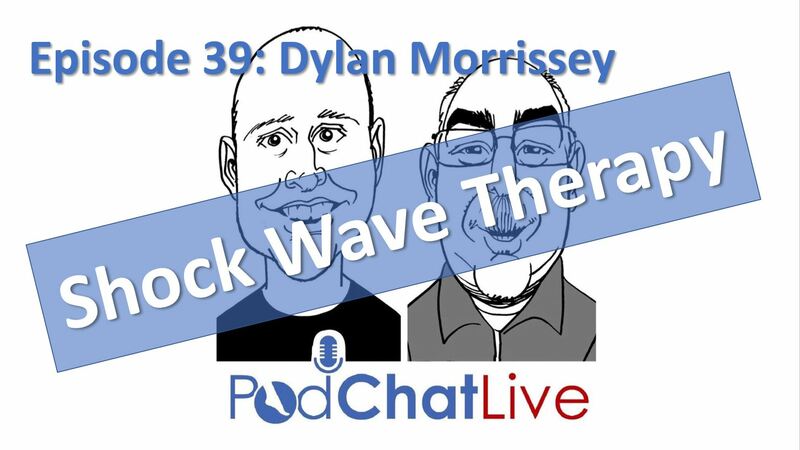 In this episode we talked with Consultant Physiotherapist, academic and researcher Dylan Morrissey about the evidence base for shockwave therapy, the robustness of the methodology often employed within such research, what foot/ankle pathologies shockwave is indicated for and whether there are any key contraindications or risks associated with its use. Dr Dylan Morrissey has over 25 years experience of working in sports and exercise medicine. He completed his MSc at University College London in 1998 and a PhD in 2005 at King’s College London. He is now an NIHR/HEE consultant physiotherapist and clinical reader in sports and musculoskeletal physiotherapy at Bart’s and the London NHS trust / BL School of Medicine and Dentistry, QMUL. He is a fellow of the HEA and provides clinical leadership to the intercalated BSc and MSc in Sports and Exercise Medicine (SEM). He runs the Human Performance Laboratory. He has gained more than £5m in research funding, with a third as lead applicant, and has authored ~ 60 peer-reviewed full papers. His main research interests are tendinopathy, evidence translation and the link between movement and pathology.